Nothing along the twisting road to the Black Canyon of the Gunnison prepares you for its abrupt gorge. You reach the edge of the canyon and look 2,000 feet down sheer cliffs to the Gunnison River thundering through house-sized boulders. The Black Canyon, one of Colorado’s most dramatic landscapes, is the narrowest major canyon in North America. Part of the canyon is so narrow that it receives 33 minutes only of sunlight a day in summer and none in winter. The river has patiently sculpted the canyon over the last two million years, excavating it an inch deeper every century through some of the oldest exposed rock on the planet. 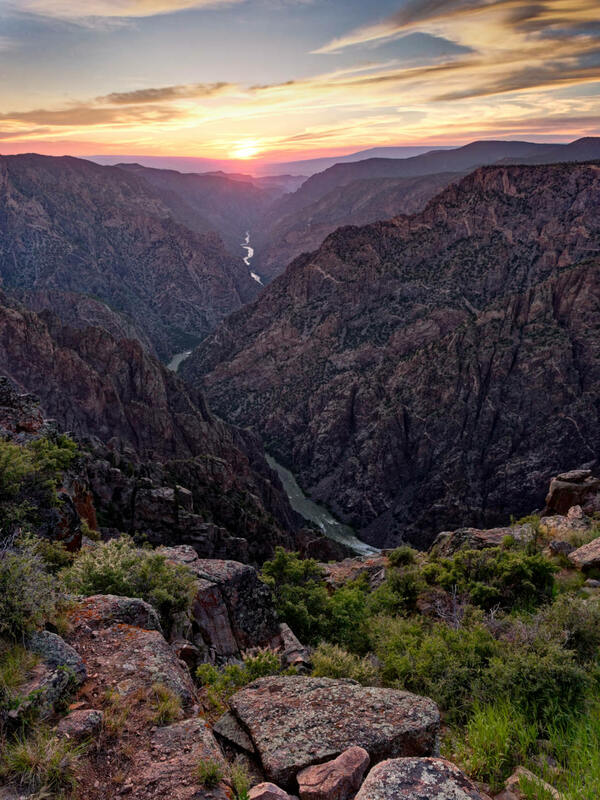 The 30,750-acre Black Canyon of the Gunnison National Park is a tale of two worlds—the forbidding wild canyon below and the gentle wooded rims above. The least-visited of Colorado’s four national parks offers not only spectacular scenery and breathtaking views, but it is also a place for hikers, anglers, climbers, and wildlife. Here are our choices for the best adventures in the Black Canyon. The South Rim Road offers a scenic drive through the park. The scenic drives on the South and North Rims are the easiest ways to explore the Black Canyon. 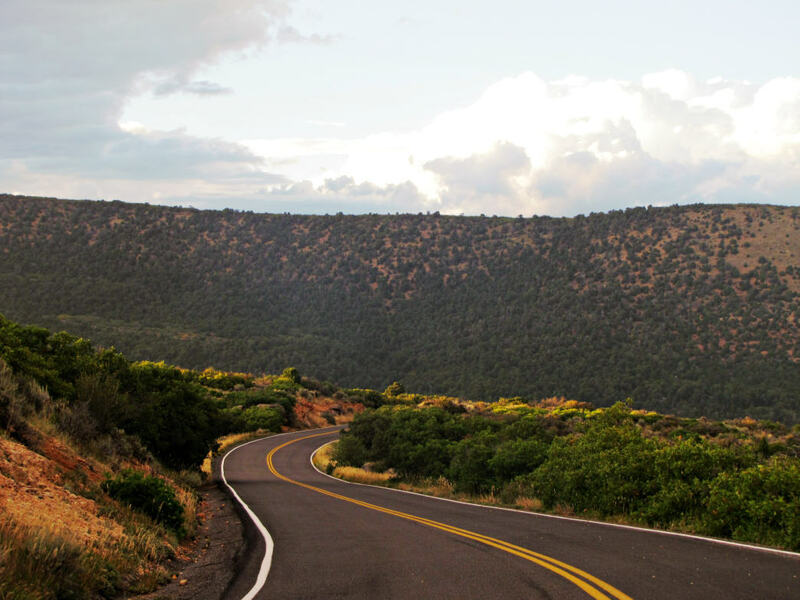 The seven-mile South Rim Road, reached from U.S. 50 east of Montrose, offers 12 scenic overlooks as it meanders through scrub oak and juniper forests along the rim. First, stop at the park visitor center at Gunnison Point to get your questions answered by a ranger, then head west toward Warner Point. Be sure to stop at Rock Point, Devil’s Overlook, Chasm View, Dragon Point, and Sunset View for spectacular views into the canyon. The five-mile North Rim Road, reached from Crawford and Paonia in Delta County, is a remote dirt road with six viewpoints above the chasm. Stop at them all if you have the time, but don’t miss the Narrows View. Far below, the river plunges through a 40-foot-wide gap, the narrowest and darkest part of the Black Canyon. The short Chasm View Nature Trail on the North Rim will take you to some of the most dramatic views of the canyon. A hike along the rim trails is one of the best ways to explore the Black Canyon. The two-mile Oak Flat Loop Trail descends below the South Rim visitor center, threading through a scrub oak, aspen, and fir woodland to an overlook. The 0.75-mile Warner Point Nature Trail follows a ridge from High Point at the end of the South Rim Road to Warner Point and a spacious view into the lower canyon. On the secluded North Rim, take the short 0.3-mile Chasm View Nature Trail for dramatic views into the cliff-lined canyon and the raging river below. One fenced overlook is perched 1,800 feet above the river, while the opposite South Rim is a mere 1,100 feet across empty space. Two other fun North Rim adventures are North Vista Trail’s three-mile round-trip hike to scenic Exclamation Point and the five-mile round-trip Deadhorse Trail on the east side of the park. 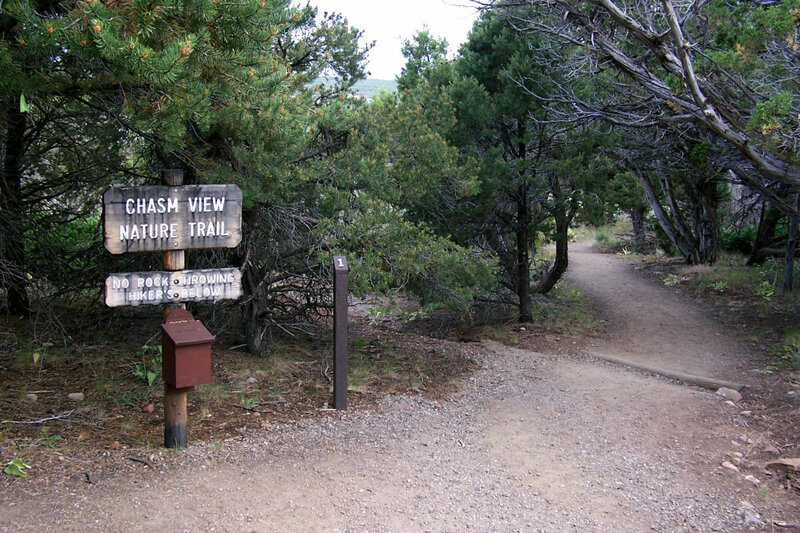 Access the trailheads for each hike from the North Rim Road. 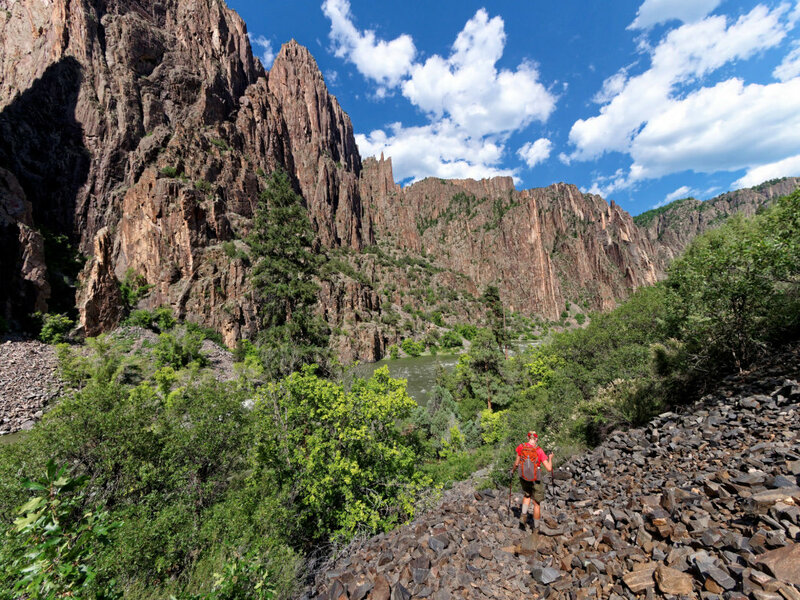 The rocky Gunnison Route is one of the ways to access the canyon—but be aware that it’s a strenuous route for very experienced and fit hikers only. Intrepid hikers and fishermen can drop into the depths for some of the Black Canyon’s ultimate adventures. The seven descent routes into the inner canyon are all rocky, dangerous, steep, unmaintained, and strenuous. Only hikers in excellent physical condition should attempt a gorge hike, and, of course, the descent is the easy part. While the uphill grind back to the rim is tough, those who enter the canyon are rewarded with solitude, birdsong, and river roar. The popular Gunnison Route, beginning at the South Rim visitor center, descends 1,800 feet over a mile to the river and three backcountry campsites. A fixed chain assists your climb down a steep section. The most popular North Rim descent is S.O.B. Draw, a rough 1.75-mile gully filled with poison ivy and loose rock. End at six campsites up-river from the Painted Wall, the park’s tallest cliff. Get a free wilderness permit to descend and camp. Remember to practice a Leave No Trace ethic. 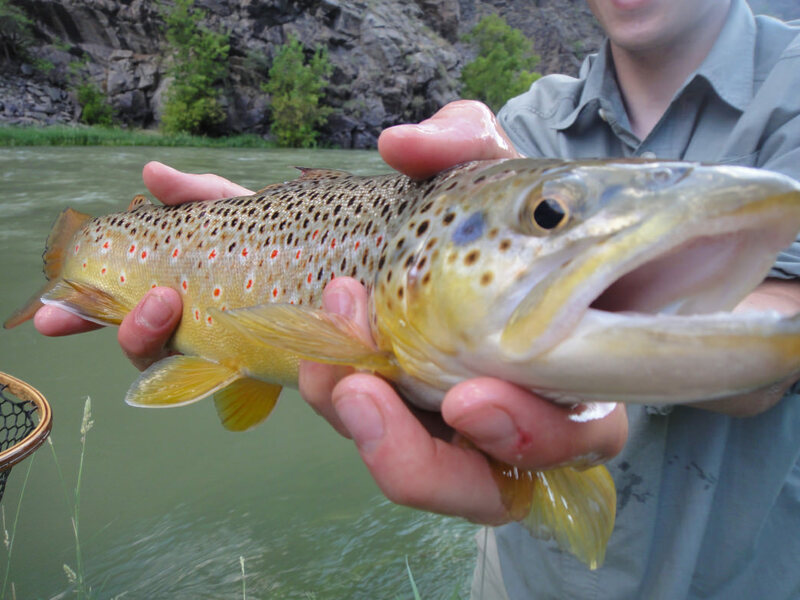 The Gunnison River is a first-class waterway for trout fishing. The Gunnison River in the Black Canyon is one of Colorado’s renowned Gold Medal trout rivers, providing an outstanding opportunity to land trophy-sized brown and rainbow trout. The fishing begins 200 yards downstream from Crystal Dam east of the park boundary and runs to the confluence with the North Fork at the north end of Gunnison Gorge National Conservation Area. Besides having a Colorado fishing license, anglers must use only flies or lures. All rainbow trout are catch-and-release, while up to four browns can be caught daily. While fit anglers may descend the strenuous inner canyon trails to the river, most drive down the steep five-mile East Portal Road in the Curecanti National Recreation Area on the national park’s edge. A 15-site campground here is a perfect basecamp for fishing the wild Gunnison. Climbers at Black Canyon are rewarded with amazing views. The Black Canyon, one of America’s great traditional climbing areas, offers thrills, chills, and vertical adventure for competent rock climbers. The Black, as climbers call it, boasts Chasm View Wall with its long, classic routes and the 2,250-foot Painted Wall, Colorado’s highest cliff. Climbing here requires experience at placing gear and establishing belays, as well as route-finding skills and commitment. Most of the routes are on the canyon’s North Rim and accessed by either S.O.B. Draw or Cruise Gully. Recommended routes for Black Canyon first-timers are Maiden Voyage, Casually Off-Route, Escape Artist, and Comic Relief. After gaining Black experience, climb the mega-classic Scenic Cruise, Russian Aréte, and the Southern Aréte of the Painted Wall, the state’s longest route. Get a climbing guidebook like Rock Climbing Colorado, or recently published guides by Robbie Williams and Vic Zielman. Zielman's book came out in 2015, and is the most comprehensive guide to The Black. Ask for updated route info at the North Rim ranger station before heading into the canyon. You can also hire a commercial guide service to get you on the rocks. Written by Stewart Green for RootsRated Media in partnership with Delta County Colorado.